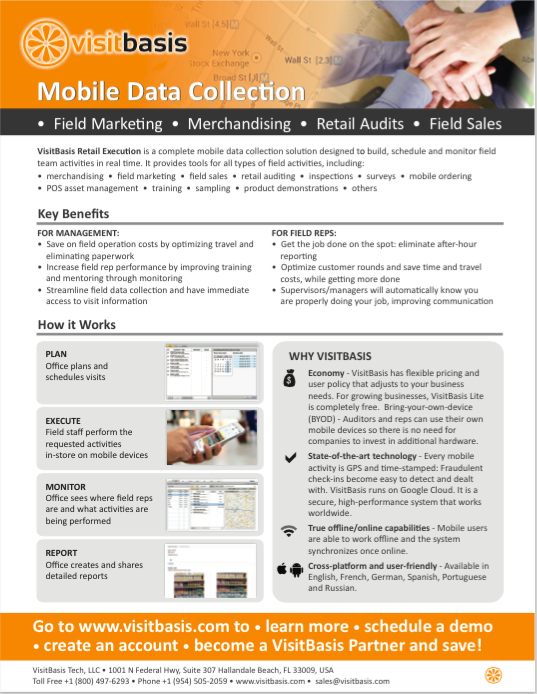 Inspired by customer input, VisitBasis unveils new pricing model for its mobile data capture software. "Our customers were suggesting us to adopt a price per user approach, since it helps them better predict how much they will spend in field data collection software", says Sergey Gorbunov, CEO of VisitBasis. "Because of the price model change, we also decided to adjust the capabilities of VisitBasis Lite, the free version of our software, so growing businesses can take advantage of our system and upgrade to the full version once they have reached a larger business volume or more specific business needs." 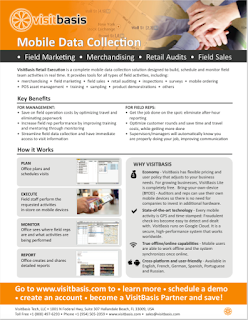 Price per active user starts at $24 per month for the VisitBasis Merchandising & Retail Audit module and goes up to $34 for Merchandising/Retail Audit/Field Sales, which includes mobile ordering with custom purchase orders. For more information and to register for a free trial, go to www.visitbasis.com.